After spending 5 years working in Sale, Cheshire in the care industry working with adults with learning disabilities and challenging behaviour I gained a QCF Level 3 Diploma in Health and Social Care. 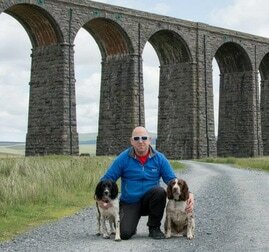 ​As a very passionate dog owner Snoop and Poppy have joined me on some wonderful dog adventures, not only around the Manchester but around the whole country. We love visiting new places to walk and I have around 300 routes mapped out. 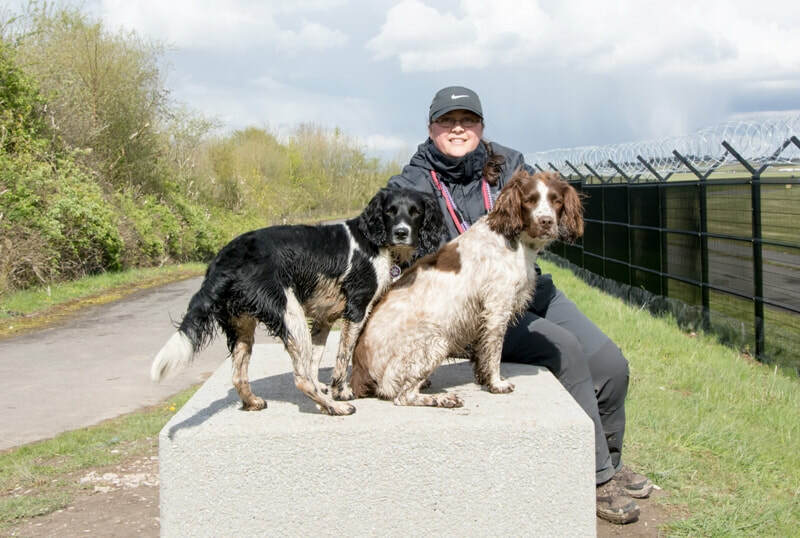 I have been able to fulfil my dream of working with animals by starting my own dog walking, cat sitting and pet care service in and around the Wythenshawe and Sale areas. Cats and dogs have also been a big part of my life from early childhood through to now. Visiting my grandparents when I was young also gave us a chance to feed the chickens, geese and many cats they owned. Having spent 18 years working for the same company (The last 8 working from home) I was made redundant which gave me the perfect opportunity to join Reece and my love of animals. Over the years I have had a cat, dogs, tropical fish, rabbits, gerbils, hamsters and snakes. My constant friend for the past 5 years has been our Springer Spaniel Snoop with Poppy joining us on New Years Eve 2013 and I would not change them for the world! Having Snoop & Poppy in our lives is very entertaining and rewarding, especially at weekends planning new dog walks to keep them stimulated. ​​​If you'd like to arrange dog walking or cat sitting then please call Reece on 07938 699623.